Edwin Lightfoot, Hilldale Professor Emeritus of Chemical Engineering, passed away Monday, Oct. 2, 2017, at age 92. Lightfoot was a brilliant researcher known for his ability to clearly convey complex topics in the classroom and instill a love of learning — and of chemical engineering — in his students. His students knew him as energetic, kind and, particularly in his role as a mentor, generous with his time and support. Following World War II, as the field of chemical engineering matured and challenges became more complex, Lightfoot and colleagues R. Byron (Bob) Bird and Warren Stewart (who passed away at age 81 in 2006) recognized a growing need to provide students unifying principles in a variety of transport phenomena. In the 1950s, the trio developed an undergraduate course in the area and, in 1960, published the seminal textbook, Transport Phenomena. The book (which became known simply as “BSL”) elegantly unified the interrelated subjects of mass, heat and momentum transfer and fundamentally changed how chemical engineering curricula worldwide were taught. That original text remained in print 41 years and saw five translations. The second edition appeared in 2001, and a simplified version, Introductory Transport Phenomena, was published with co-author Daniel Klingenberg in 2015. In 1974, Lightfoot wrote Transport Phenomena and Living Systems: Biomedical Aspects of Momentum and Mass Transport. In fact, he conducted groundbreaking research in biochemical engineering, focusing specifically on separation processes and controlling the dynamics of biological systems — interests intended to advance biotechnology. By nature, his research was interdisciplinary. 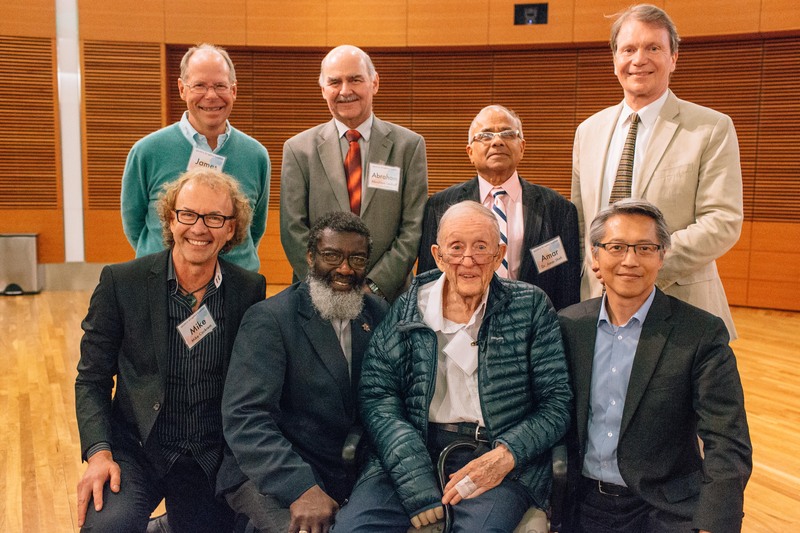 Throughout a career at UW–Madison that spanned more than 50 years, Lightfoot collaborated on research with colleagues in disciplines ranging from medicine to environmental engineering. Later in his career, he studied the parallels between biological processes and systems in the chemical industry. His legacy, says Lenhoff, is in his books and research papers—many of which have transformed the diverse scientific fields to which he contributed. “He was especially adept at analyzing complex technical systems into more easily tractable problems, which is why he was a pioneer in biological engineering,” says Lenhoff. Lightfoot was born in Milwaukee in 1925, and attended Cornell University, earning bachelor’s and doctorate degrees in 1947 and 1950, respectively. After working as a research engineer for the Charles Pfizer Co. in Brooklyn, New York — where he developed a patented commercial process for recovering and purifying vitamin B-12 — he joined the UW–Madison chemical engineering faculty in 1953 at the invitation of then department chair Olaf A. Hougen. At the time, Hougen charged Lightfoot to develop the biochemical research and education program within the department. Lightfoot was promoted to associate professor in 1957 and to full professor in 1961. During that time, he supervised 49 doctoral students, many of whom today are professors at leading universities and researchers in industrial biochemical and biomedical laboratories. He retired in 1996. Among his numerous honors are distinguished honorary doctorates from the Technical University of Norway and the Technical University of Denmark. He was elected a fellow of the American Academy of Arts and Sciences in 1992, the same year he became a founding fellow of the American Institute of Medical and Biological Engineering. He was elected to the National Academy of Engineering in 1979 and, with his election to the National Academy of Sciences in 1995, became one of only three faculty members in the College of Engineering to hold that distinction. In 2004, he also received the National Medal of Science from President George W. Bush for his leadership in transport phenomena, particularly in biochemical and biomedical engineering, with applications in blood oxygenation, bioseparation techniques, and diabetic responses. Lightfoot was married to his wife, Lila, for 67 years. He believed Lila’s influence was not only the key to his personal happiness, but also his professional success. Together, they warmly opened their home to many students and they became part of the extended Lightfoot family. Lila passed away in November 2016. Lightfoot is survived by children Theodora (Enrique), Edwin J. (Sue), Nancy (Nick), Robert (Karin), and David (Barry); his granddaughter Kate; his “academic family” of 49 doctoral students; and many spoiled, well-loved dogs.